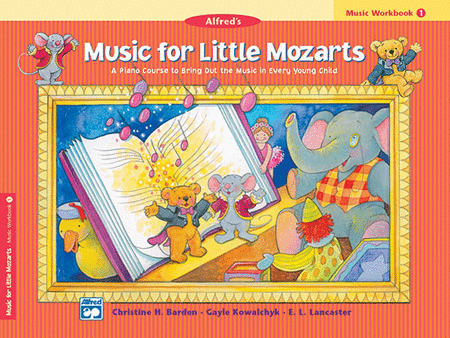 The Little Mozart Music Workbooks are specifically designed to coordinate page-by-page with the Lesson Books. Utilizing the Music Workbooks, Carolyne will work with your child to complete fun activities, including coloring, clapping, tracing, matching, singing and listening. Each activity will reinforce the lesson's musical concepts and will stengthen the training and development of your child's ear.